Don’t we wonder if could just simply take up a remote control and mute our friend or sibling blabbering about something we are totally not interested in? Well, social media may trying to be an exact replica of our real life, it still is far easier to mute people on SoMe than it is in actual life. 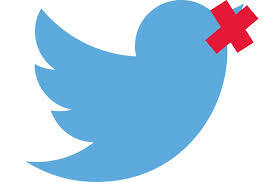 Twitter, thankfully, has rolled out a feature to mute users on Twitter. Using this new mute feature, you can silent certain users you are following in your feed. Once muted, you won’t see their tweets, retweets, or get any notifications about them on your tablets, smartphone’ apps or via SMS. The muted user will never get to know if you have muted him or her which is actually helpful. The usual blocking feature lets the blocked person know that s/he has been blocked by you. The blocking feature also stops the interaction between blocker and blocked user. Unmute key is simply to mute the user from your feed and stop getting notification. S/he can still interact with you using usual favorite, retweet, reply, and DM ways (Yes, you will still see their replies and tweets to you in the interactions tab). Tap the ••• icon > Mute > Yes, I’m sure to confirm. Tap Mute > Yes, I’m sure to confirm. If you ever decide to unmute the muted user and want to see their tweets again on your feed, you can go to the user’s profile and tap the red mute icon to unmute. Twitter still hasn’t rolled out the mute feature to the entire user base. If you can’t see the option to mute, just wait a few days and you too will get it!